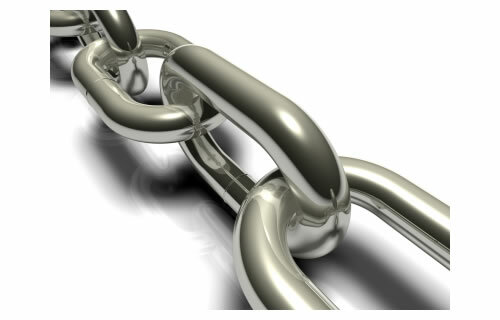 Links and how link building and link exchange improves your search engine rating. Search Engine Optimization (SEO) is that discipline in website design concerned with ensuring that the websites receive high rankings in the free search pages and thus get displayed often and high up the list. There are many ways that this works and the Google and Yahoo search engines have different algorithms. The common and easiest way is to continually have new content on the website so that the spider bots re-index that site often. Google do not advertize their Algorithm so when it changes, as it does about twice a year, the SEO companies have to scramble to find out what has changed and adjust their techniques accordingly. But an important element to SEO and the way that the search engines rank pages are the number of relevant links to that page that exist. Link building is a tedious and pains taking task. But if one wants a secure position on the search engine popularity stakes it is an essential occupation. There are many ways to build links and each one has to be done individually unless you join a link farm. It is advised that link farms are in fact regarded as “Black Hat” and may well result in you losing rating instead of improving your position. Here are a few positive way of link building. 1. Link Exchange. There are many website out there which are in a similar position to you. They want links and are happy to list your link on their site if you list theirs on your own. There are dangers that must be taken into account here. The Search engines rate not only the quantity of the links but also the quality and relevance. So if your website is selling printer ink cartridges and shipping nationwide all links to IT websites that have printers, computers and peripherals are highly relevant and earn good marks. But if you are a local pharmacy in downtown Dayton Ohio and have a link to a private investigator in Singapore then there is no relevance and you may get downgraded. The second point is that the Search engines like links form highly rated companies. It is therefore important to check out the companies you wish to exchange links with and if they are poorly rated it is worth taking a view first. 2. Online Directory. There are a number of these that categorize and list many businesses and have back links to them. The dangers of relevance and quality apply here. 3. Build your own lists. Creating "10 Easy ways to ????" is a kind of list that gets many hits and have a “Link to this site” available for visitors to download while accepting uploads. 4. Become an Expert. A well ordered website with relevant accurate information clearly explained and easily understood is bound to attract links. 5. Trade articles' Blogs. If you can get articles published on other websites linking to you in return for you publishing their articles your score will automatically increase. Writing fresh content is very important for SEO but having a well built and link program will greatly enhance your search engine ranking.